The Power of Love. A critical analysis of the representation of Aphrodite’s influence over mortals within Greek vase painting. 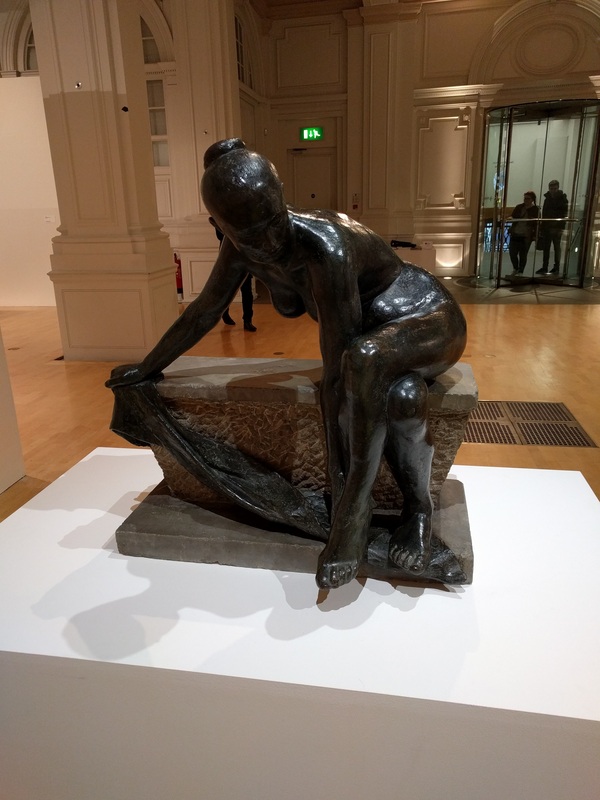 Just a brief post today as I have been busy but I thought I would share just a few photos from a trip to Birmingham Museum and Art Gallery. 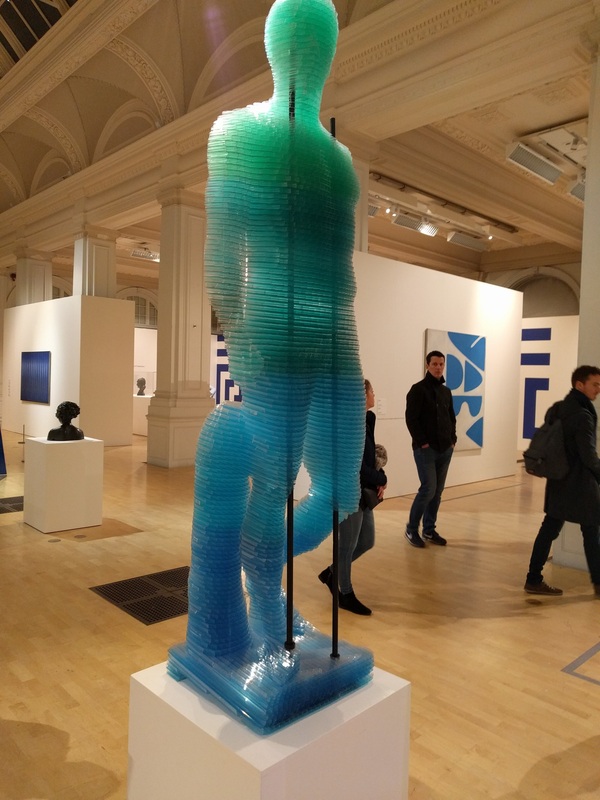 My partner recommended the exhibition as the concept of figurative sculpture as observer of other artistic pieces sounded fascinating. I usually prefer less abstract pieces of art but found it to be informative and challenging of my usual taste. Whilst exploring the exhibition I saw links back to ancient sculpture in a number of the pieces presented and these are below with a comparison photo, enjoy. There are direct comparisons where the artist Darbyshire has recreated a piece in a modern material. There are pieces that draw upon classical influences, Dobson appears to have been influenced by the Aphrodite of Cnidus in the formation of the piece. Capitoline Venus – variation of the Aphrodite of Cnidus by Praxiteles. The Capitoline Museum. Similar influences are seen in the in seated figure tying her sandal and the classical images of Aphrodite. 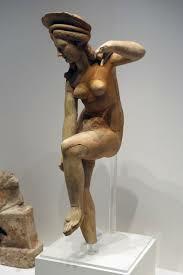 Terracotta figurine of Aphrodite removing her sandal (late 4th-early 1st BC century) Archaeological Museum Pella. 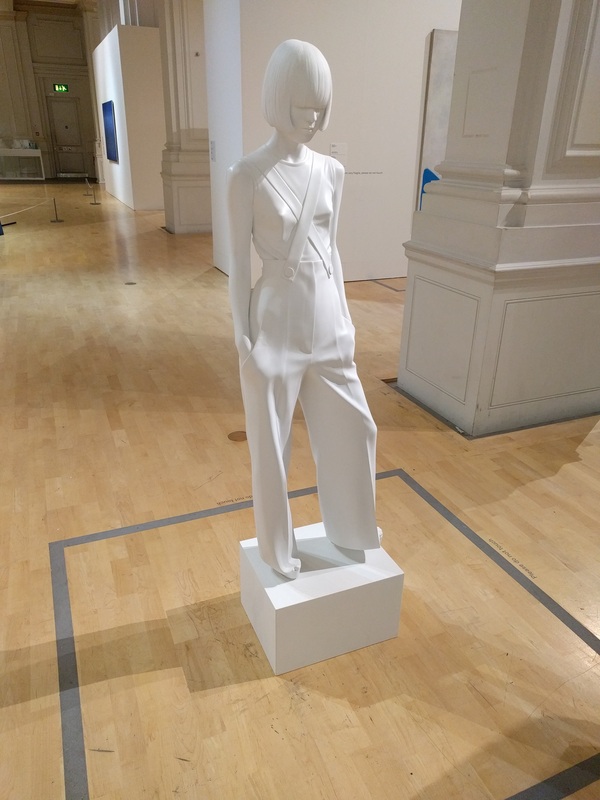 One final example is a modern depiction of a white sculpture (apologies I did not note the details of the artist, if anyone knows them please post them below) that could be compared with the Kore statues in form, stance and expression. So after four years of studying and a rather epic year of dissertation work from 2015 to the start of 2016 I fell out of love with writing for a while. This site, and writing for it, went to the back of my mind as I realised that for a while I did not want to do anything with or for it. One year on I have started preparing my dissertation for publishing on my blog (I can finally bring myself to look at it again) and hopefully it will be ready to release next month. In the interim though I thought I would share something from my Greece trip last year. Included on my itinerary was Corfu where I hoped to visit the archaeological museum and also the Sanctuary of Artemis whilst on the island. I was particularly excited to finally have the opportunity to see the ancient Gorgon pediment from the Temple of Artemis. 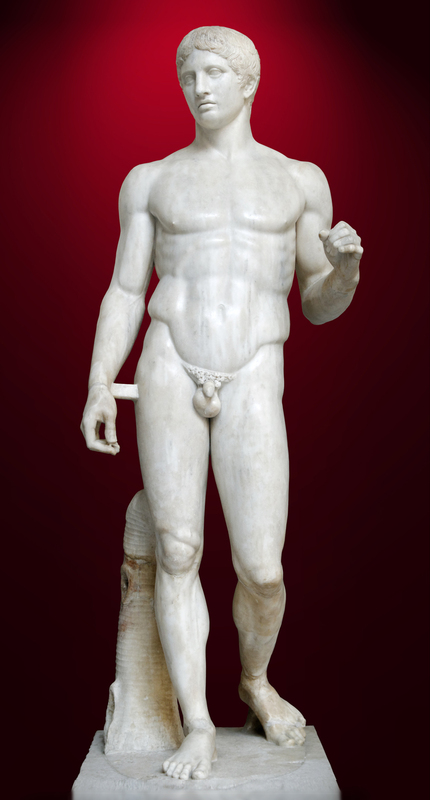 I became quite fascinated with this piece of pedimental sculpture during my A level Classical Civilisation course. The Gorgon pediment is the earliest known form of pedimental sculpture dating to around 580 BC. Though later pediment sculpture depicts far more realistic representations of the form of a person or creature I have always found the depiction of the oversized Medusa to be an impressive piece; particularly as it is early in the development of the form. The positioning of the legs and body convey the urgency of the scene, Medusa is fleeing what can be deduced as the pursuit of Perseus (though the remains do not suggest he was depicted). Osborne (1998: 73) considers that the flat body of the lion compared with the rounded image of Medusa brings out the liveliness of the Gorgon. 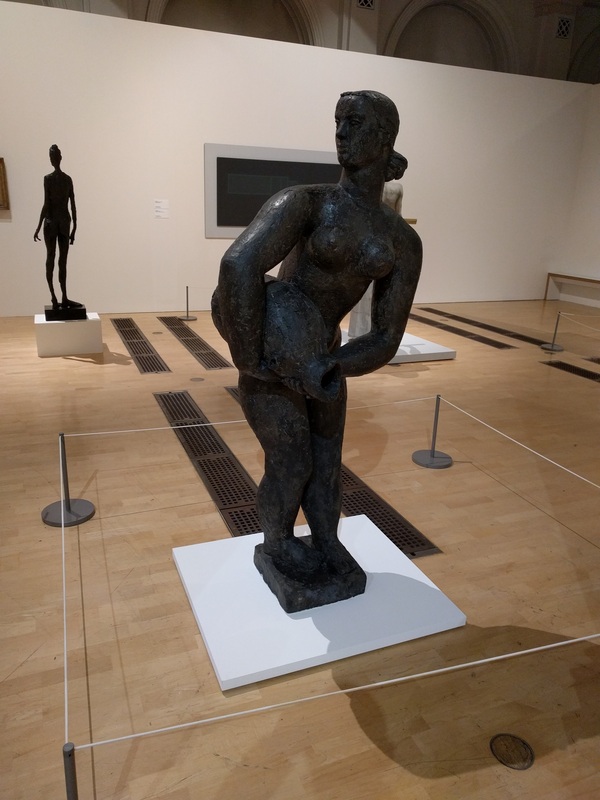 I agree with Osborne’s observation as through the rounding of the image of Medusa, alongside the implied movement in the positioning of the legs and arms, it appears as if she could run out of the pediment itself. The pediment and inclusion of Medusa’s children in the depiction is described by Woodford (2003: 42) as being ‘a cleverly concise and loaded image’. Superficially the presence of the children reminds the audience of the future following Medusa’s death but it conveys far more. If the scene is considered to be a fleeing Medusa the presence of Pegasos and Chrysaor also indicates urgency and her imminent death. A brief analysis of the representation of Medusa can be found here. 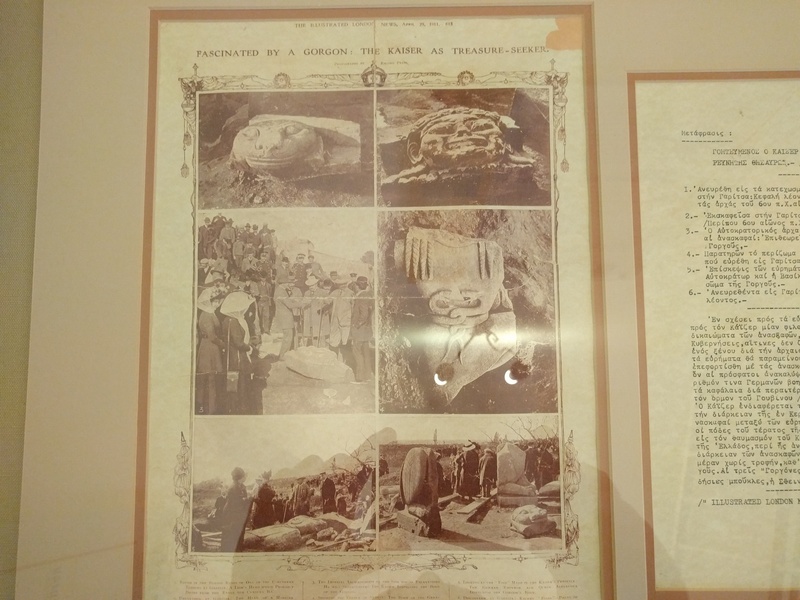 Unfortunately my visit to the archaeological museum was not meant to be as the fates conspired against me. In advance of the visit I read conflicting reports online about whether the museum refurbishments had been completed. I led Daniel (my better half) to the museum in the hope that it would be open but alas it was not. Having checked online prior to publishing this the Ministry of Culture and Sport in Greece states that renovation is due to be complete by the end of 2016 (http://odysseus.culture.gr/h/1/eh155.jsp?obj_id=3420). However, previous deadlines have not been met and as such it may not have reopened yet. The area highlighted is the Sanctuary of Artemis. I pride myself on my navigational abilities but on this occasion they let me down. After exploring the museum Daniel and I set out to find the Sanctuary which is located outside of the main estate. We used the above image as a map of the area as we had not seen any signposts and, I have to admit, I thought it sufficiently represented the local area. Attempt one resulted in a walk around the entire estate after taking a wrong turning and missing the road to the exit; the estate is beautiful so we were not that upset. Attempt two was a pretty long walk in the midday heat. After thirty minutes of walking down a track we came out at the area of Corfu Town on the top right of the map, only to be told by a cafe owner that the Sanctuary was on the estate and sent back the way we came. On attempt three we found a sign that pointed towards the Sanctuary. However, this was some distance from the main entrance to the estate. Thankfully there was a second sign, though it could have easily been missed as it was not in the best condition, that pointed us down a track. For those visiting Corfu Town this year and wanting to find the Sanctuary I have included a map of where it is located. 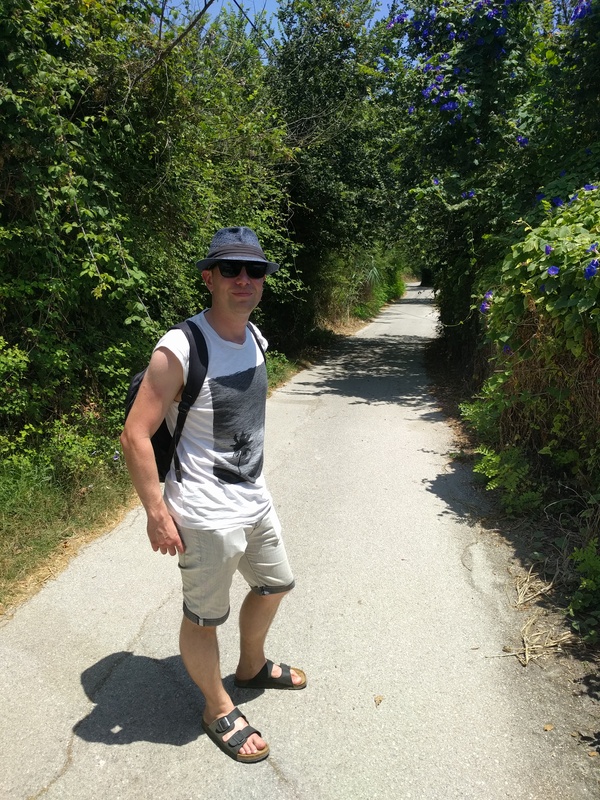 The countryside of Corfu is beautiful and is wonderful to explore. Here is a photo of me once we were finally on track. Though as you can see there was quite a long road ahead of us. 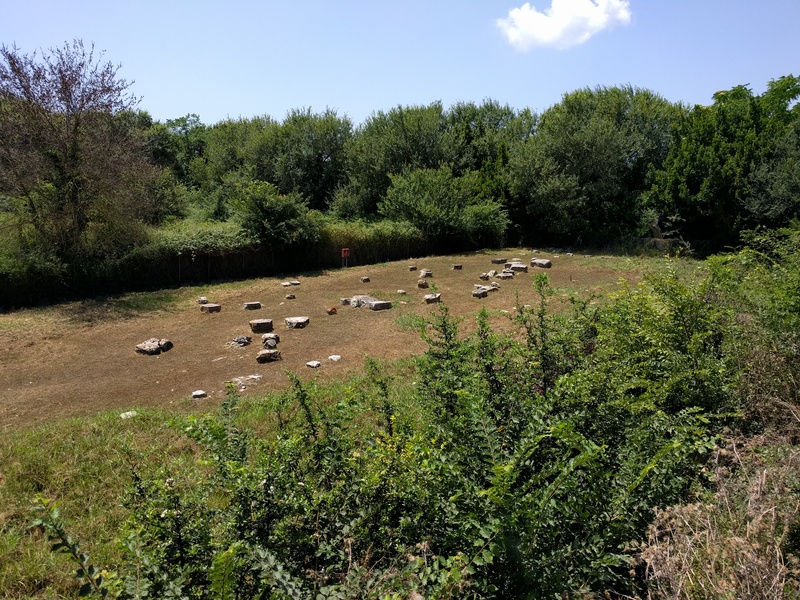 To those visiting Corfu/Corfu Town this year I hope that the above provides some assistance in (speedily) locating the Sanctuary of Artemis and a bit of insight into the site itself. I also hope that the archaeological museum has reopened and you will be able to see the sculptural treasures that were excavated. Osborne, R. Archaic and Classical Greek Art, Oxford: Oxford University Press, 1998. Woodford, S. Images of Myths in Classical Antiquity, Cambridge: Cambridge University Press, 2003. This is my first post for a long time. I had hoped I would quickly get back into a routine of writing but unfortunately I have not been able to. So to start off easy I thought I would share some images of a recent trip to Chedworth Roman Villa, as a step back to regular postings. 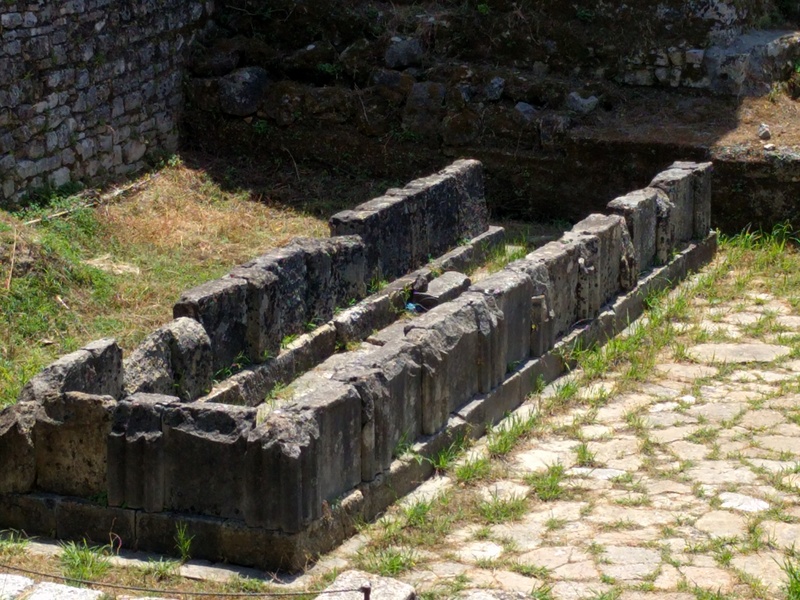 The building of the villa commenced in approximately 120 AD. The development of the site and villa itself continued throughout the 2nd to the 4th century AD. 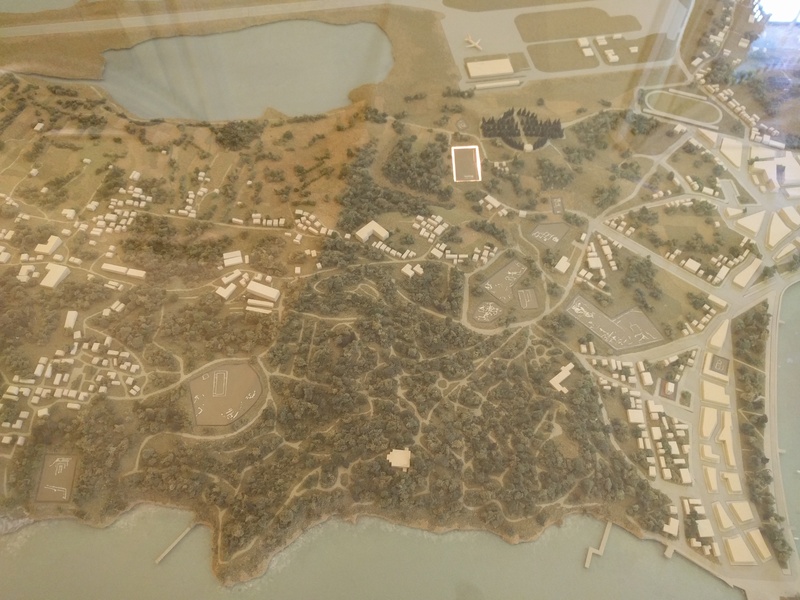 The reconstruction below shows the villa as it would likely have been at the end of its development. The site was discovered in 1864 and excavations were quickly undertaken. Shelters were erected to protect the unearthed mosaics and a museum built to store the finds from the site. The National Trust who manage the site have undertaken a number of projects since 2011 to provide a much improved visitor experience. The Trust are currently raising funds to create a further shelter to allow for the display of a recently discovered mosaic (the photo below is of an artists reconstruction of the mosaic as it has been recovered to protect it). The images below are of a few of the mosaics. However, they do not do them justice (I am not a skilled photographer) and I would encourage a visit to the site if you are able to get there. The most impressive mosaic is found in the villa’s dining area. The northern section of the mosaic is an intricate geometric pattern. 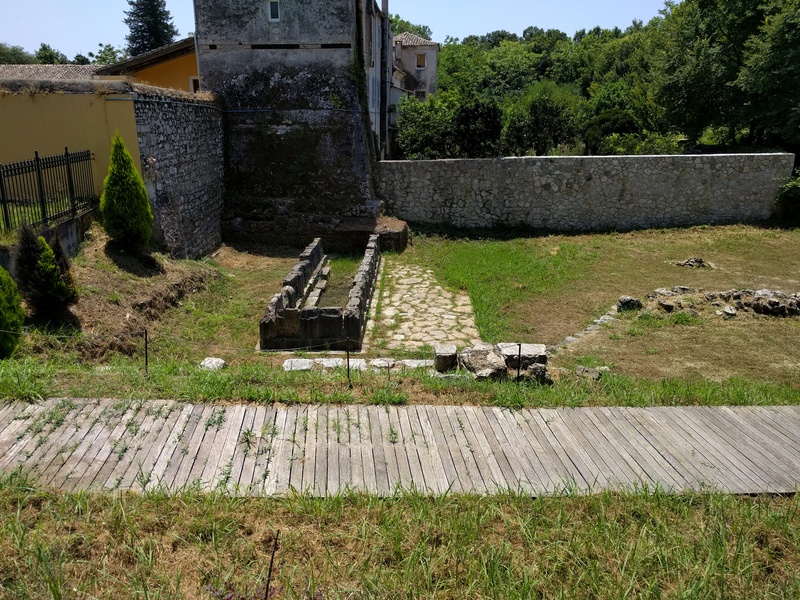 Those dining at the villa would be sat in this section overlooking the mythological mosaic that would have been the main talking point of the room. The images of the mythological section of the mosaic are depictions of various myths of Bacchus and his entourage. The central part of the mosaic is lost and several of the outer panels are damaged to the point that the subject matter cannot be identified. However, three sections are relatively intact. The first of these represent Bacchus and (presumably) Ariadne. Bacchus holds in his hands symbols of divinity and is looking backwards towards the female figure who faces him. This image is flanked by images of Satyrs and Maenads in the panels either side. In the corners of the mythological section of the mosaic are personifications of the seasons. Unfortunately my photos did not come out very well due to the lighting in the room so I have only included the one image. Below is the image of summer, a flying naked youth who is holding a basket and garland of flowers. There are mosaics throughout the other parts of the villa. These are more often than not geometric patterns in the corridors and bathing areas. However, there are some communal areas such as the changing room for the baths where more complex imagery can be found. The more complex pattern would have been appropriate for the changing rooms, as refreshments may have been served and board games played as a social activity before bathing . This post has focused on only a few areas of the large and palatial villa. I would reiterate that it is well worth a visit to see the mosaics up close, as well as other parts of the villa such as the Nymphaeum, bathing house and museum (I found the hand print on one of the tiles a fascinating connection to the past). Happy Christmas from Apollo, Ares and I. I hope that everyone has a good day and brilliant year ahead. It has been a busy few months for me as I have been writing my dissertation. I did not appreciate quite how much time it would take out of my life and as such I had to pretty much ban myself from Social Media and blogging in order to keep focused. Things are going relatively well and I am due to submit on the 30th January. I look forward to publishing my dissertation on my blog once it is finished and also returning to writing posts. I hope you enjoy reading as much as I did presenting and writing it. I completed studying for my MA Ancient History and Classical Studies with the University of Wales Trinity Saint David in 2016. Life is all about learning and I have recently started studying beginners Latin. Please take the opportunity to have a look through the posts I have published. I hope that you find what I write interesting and feel free to comment on what I have said. Large Guinea Pig Tea Towel. 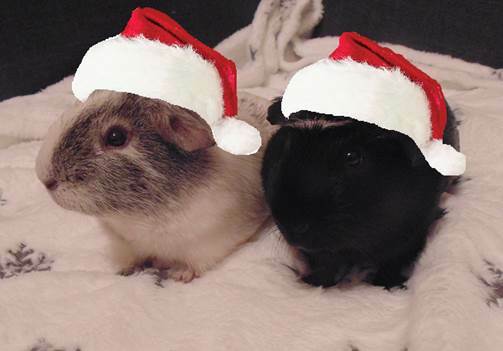 100% of the profits go to North East Guinea Pig Rescue in the UK. All I look at is those guinea pigs!